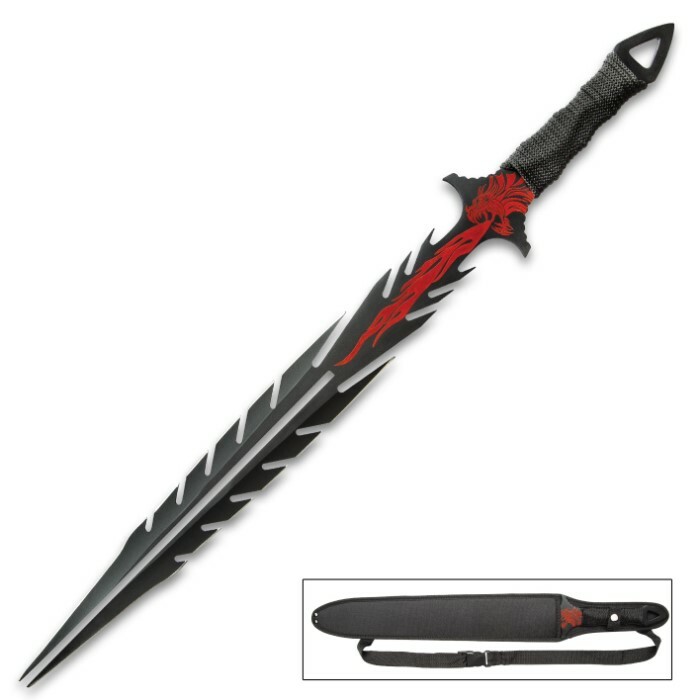 The Red Dragon Forked Tongue Sword comes straight from the jaws of the ferocious fire-breathing monster it’s named for. 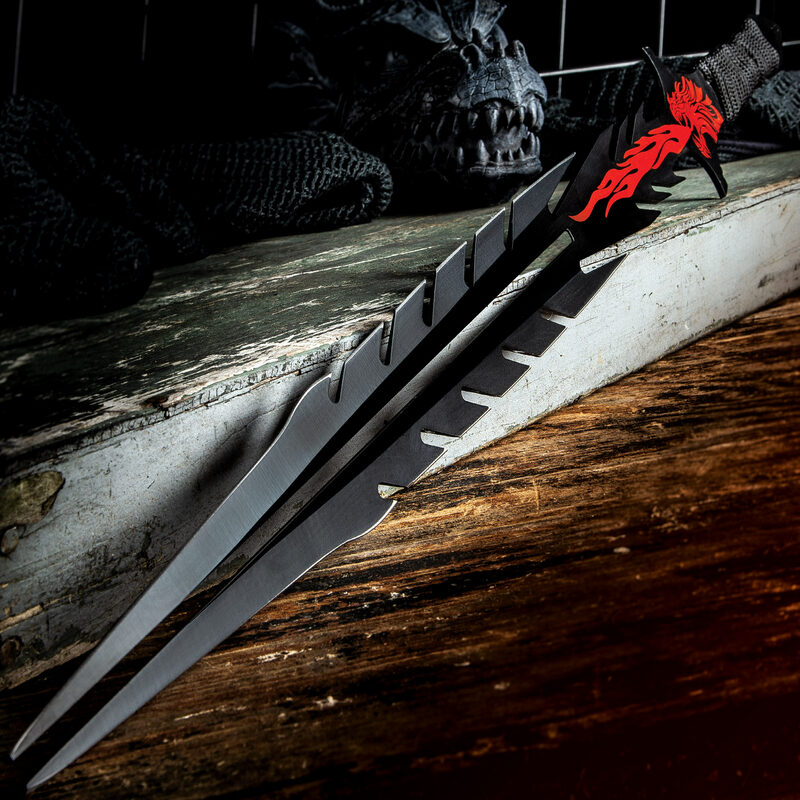 It has just as wicked and deadly a bite as any of these reptilian titans out of legend. The fantasy sword has a double-edge, 18” forked tongue blade with sharp razor-blade cut-outs along each side and the blade ends in two penetrating points. 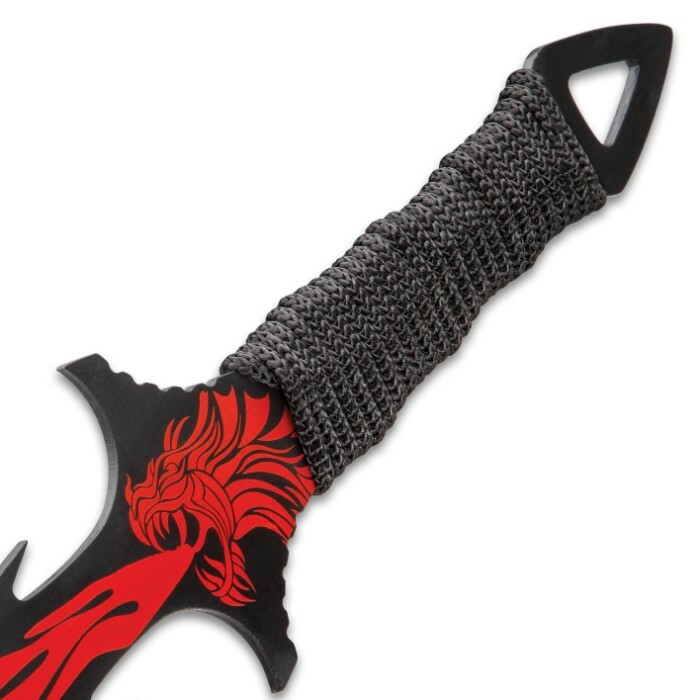 The black cord-wrapped handle features a red fire-breathing dragon that continues down the blade and an open pommel with a pointed tip. 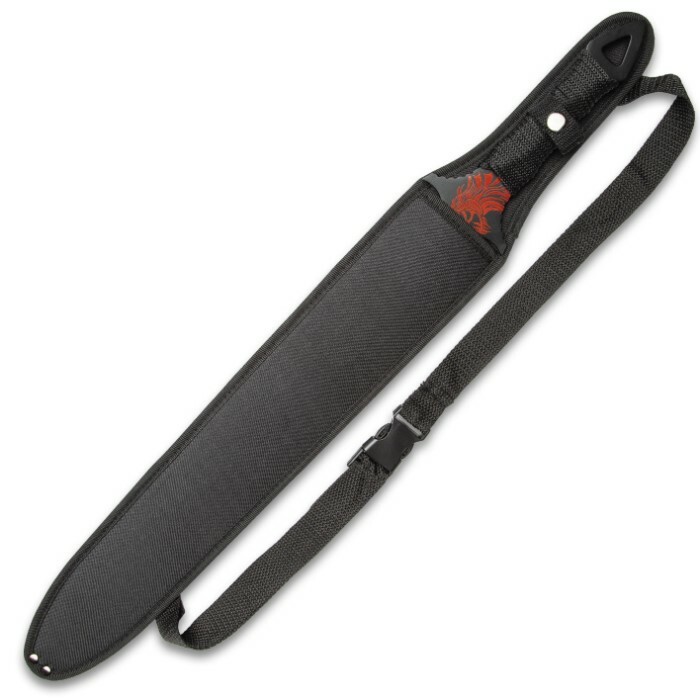 The fantasy sword comes in an adjustable, sturdy nylon shoulder strap sheath which features a quick release buckle.